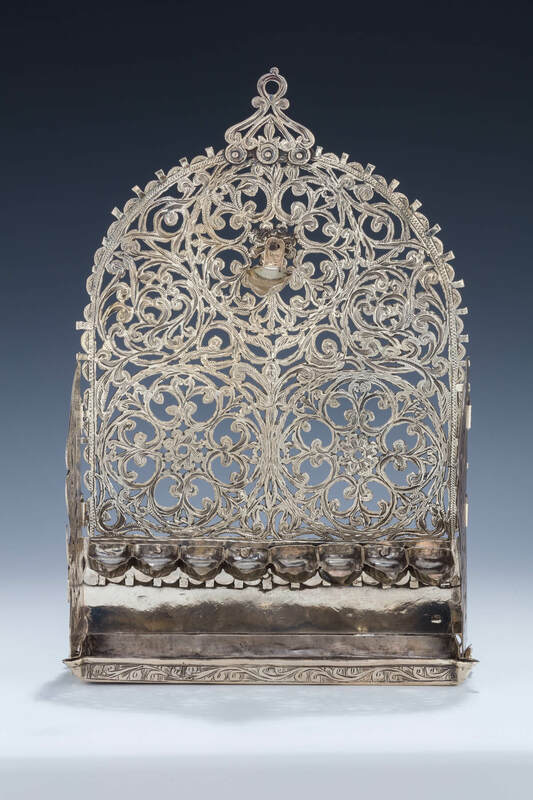 A SILVER HANUKKAH LAMP. Morocco, c. 1890. For wall use. The backplate hand engraved in bright cut period design. With eight main oil fonts and one servant lamp. Marked. 11.6” tall.